AMSTERDAM-NOIR- Analys Shows push for Green New deal Hindered by Silence of Corporate crime media.Hypocriete Klaver & Nijpels & Samsom &Van Oijk wonen zelf Antiduurzaam(Video). The monarch butterfly, the majestic black-and-orange pollinator that once covered winter trees like leaves from the Baja California Peninsula up to California’s Central Coast, is facing a sharp population decline that could spell its irreversible doom.According to a new survey conducted by the Xerces Society for Invertebrate Conservation, the iconic North American butterfly, which migrates thousands of miles across the continent on an annual basis, is now hovering inches away from extinction.In 1980, the monarch butterfly population reached about 4.5 million. By the mid-2000s, the count dropped to barely 100,000 and last year, the number of western monarchs fell to a staggering 28,429 – a 99.4 percent decline that Xerces Society conservation biologist Emma Pelton described to the San Francisco Chronicle as “this other order of magnitude drop.”“It’s mind-boggling. We’re now down below 1 percent of the historic population,” Pelton explained to the Chronicle. Trump has put US on path to war with Iran, maar heeft zich net als Rutte overgegeven aan de ‘Klimaat-& armoede-Oorlog’(Video). Hypocriete Klaver & VVD Klimaat Koning ‘Rose Pedo-Nijpels'(Video) & ‘PvdA-Imam-Samsom’ &Van Oijk wonen zelf Antiduurzaam. 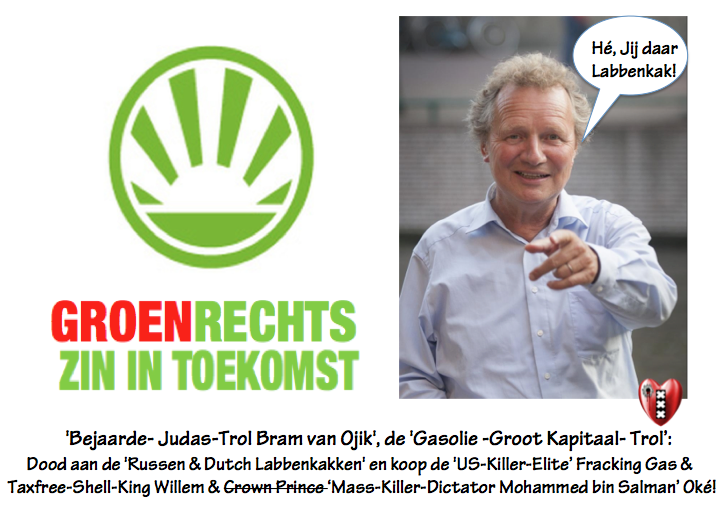 GroenLinks Rechts-CIA-Trol Van Oijk. wil Oorlog met Rusland en zit in de Mensensmokkel(Video). Continuing, the biologist explained that the death of the monarch species could have a knock-on effect on other insects such as bees and insectivorous bird species:“It is very apt to say this is a canary in a coal mine for a lot of our native pollinators … There’s a tight link in a loss of insects and our songbirds, which rely on insects. We have declines in songbirds, and I think that links directly to declines in insects.”By now, the process of extinction could prove inexorable, plunging the monarch into an “extinction vortex” wherein the species will be unable to replenish its numbers through its natural reproductive process.The cause of the monarch’s steep and rapid decline has forced biologists to look for answers as to why the die-off has occurred. A variety of factors could be involved, all of which are tied to human economic activities ranging from logging and sprawling urbanization to pesticide and herbicide use on industrial corn and soybean crops as well as the plowing of the monarch’s milkweed habitat along the route by which it migrates.The Xerces Society conducted the survey on Thanksgiving Day with the aid of hundreds of volunteers who counted butterflies in about 300 locations across California, a method by which the conservationist group has maintained a record of the monarch populations over the course of decades.Scientists have suggested that since the mid-20th century, when radioactive fallout from above-ground nuclear weapons tests began to spread across the globe and human impacts on the environment began to rapidly accelerate, the earth entered a new epoch whereby human society became the primary geological force whose actions determine the future of the entire Earth system.Dubbed the Anthropocene – a combination of the Greek word anthropos (“human”) and kainos (“new”) – the modern epoch is the first truly man-made geological period in the Earth’s history. It has also entailed mass extinctions of plants and animals alike.Whether humankind still maintains the ability to shape our ecological environment for the better remains an open question, but the mass demise of the monarch butterfly and innumerable other species suggests that the precious time within which we can steer the Earth in a radically different direction on a system-wide level is fast running out. 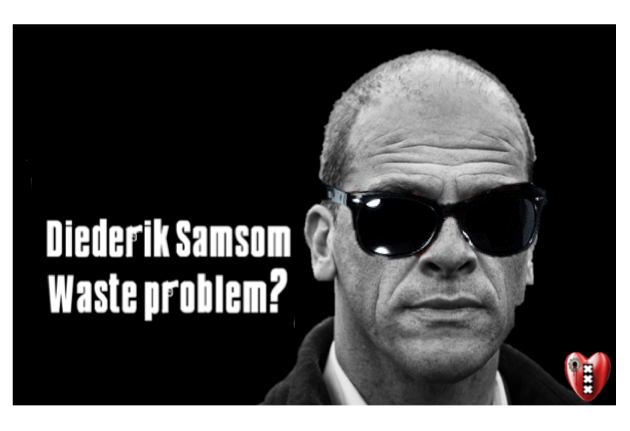 Getagd als:Antiduurzaam, CIA, corruptie, de sociale en de klimaatcrisis., Diederik Samsom, Ed Nijpels, Elite -Pedofielen, GroenLinks Tweede Kamerlid Bram van Ojik, Jesse Klaver, misdaad, oorlog, radioactive fallout, Rusland, The monarch butterfly, Total Extinction. Klaveren boer heeft een troef in handen, stemmen op zijn partij houd goedkeuring tegen? Belofte maakt schuld, daar weet rutte meer van?